Update: The deadline for entry has been extended to April 3. Update: The deadline for entry has been extended to March 27. 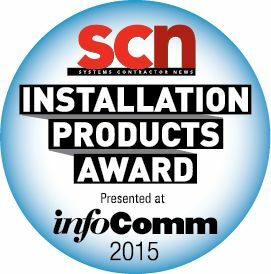 The 2015 SCN/InfoComm Installation Product Awards will showcase the most innovative commercial AV products of 2014. Manufacturers must enter their product or products for consideration before April 3, so please submit your entry now.Please send one high-resolution image of each product entered to SCN associate editor Matt Pruznick. A judging panel of integrators and consultants will select three finalists per category. SCN readers will then vote online to determine the winners. Winners will be announced during InfoComm 2015 in Orlando, FL. To be eligible for an award, the company must be exhibiting at InfoComm, and the product must have shipped in 2014. Each product entry is $295 and must be sent in with the entry. Please submit here.